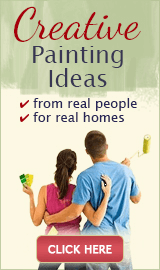 How do you choose paint color combinations for wall stripes? 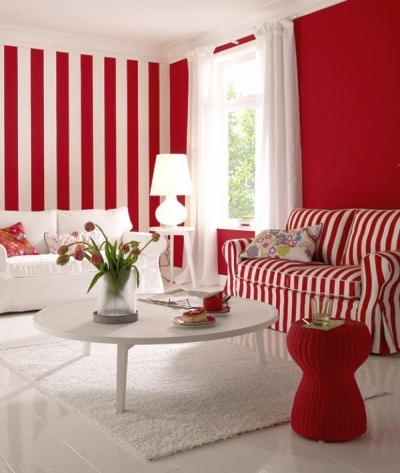 What colors look good together in a stripe pattern? 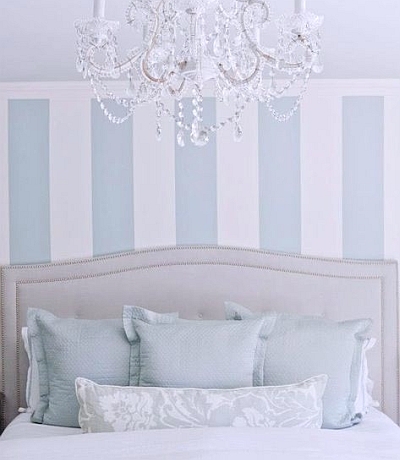 Choosing a paint color combination for wall stripes should follow the same guidelines as when creating a room color scheme. Explore that topic further to learn how to put together 2 or even more colors with success. A great and easy way to find a color combination that works is to repeat the colors of a fabric, rug or some other multi-color object you like. Just keep in mind that the impact of the color combination you got from a decorative pillow, for example, will be much stronger when used on the walls. Remember that light, tone-on-tone neutrals are pretty much foolproof - they are always easy on the eye and translate well into both sophisticated and relaxed decors. 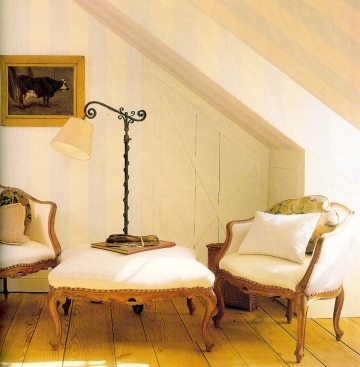 Stripes in classic color combinations (cream and gold, french blue and white, taupe and off-white, etc.) are timeless and more versatile than trendy color combos - they make a room very easy to change with just a quick switch of accessories. 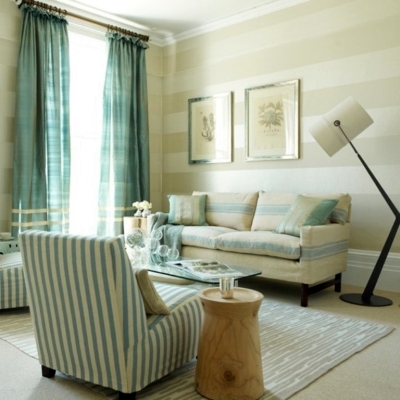 When art, accessories and/or furniture are the focal points in a room, choose soft, subtle colors with minimal contrast (for example, those next to each other on the same paint card) - like they did in the photo example above. You don't want the elements to compete for attention. And finally, don't forget to check that the stripe colors you've selected blend harmoniously with the rest of your house if it's an open floor plan (it's a good idea to use the colors of the stripes for painting the adjoining areas, or at least repeat them via accessories, thus "marrying" the colors in the scheme). 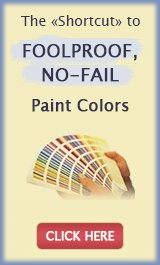 Choosing colors for a house is a tough task even for pro painters! 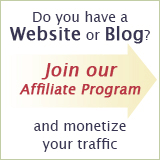 But these points, tips and suggestions that you have shared are very helpful. Thanks for the post.